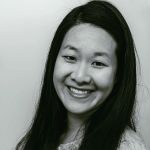 Published Apr 12, 2017 By Julia 523 CommentsThis post may contain affiliate links. 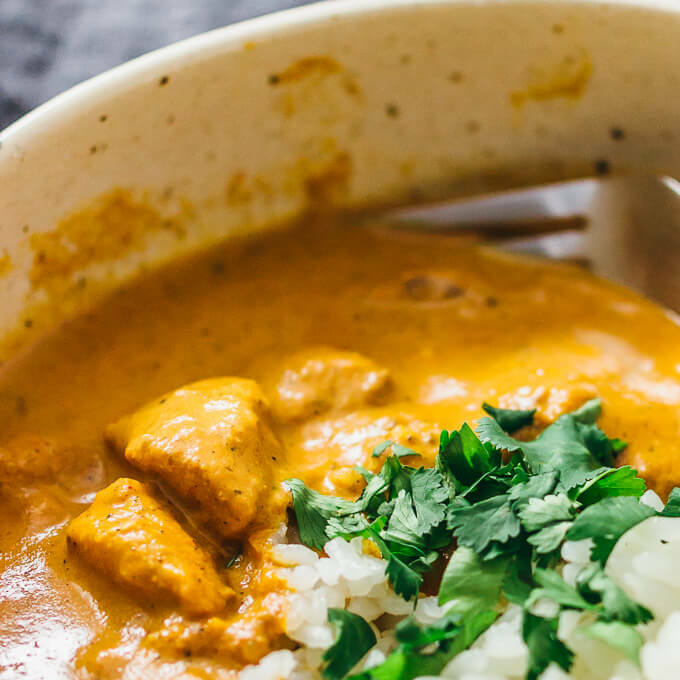 Get your Indian fix by making one of my most popular recipes, chicken tikka masala, now adapted for the Instant Pot pressure cooker. Chicken tikka masala is one of my favorite dishes of all time, and one of the most popular Indian dishes ordered at American restaurants. 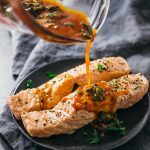 It goes great with basmati rice to help soak up all of the delicious sauce, or with some slabs of naan bread on the side. 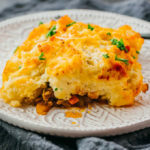 I enjoy this dish frequently in various forms, whether it be in a restaurant or just at home with a microwaveable frozen version (the one at Trader Joe’s is quite good!). I’m somewhat embarrassed to admit that there have been times where I ate chicken tikka masala more than once in a single day. It’s just one of those dishes that ticks off all of the boxes for me: (1) warm and comforting, (2) thick and saucy, (3) tons of spices and flavor, and (4) tender bites of chicken. I developed my one-pan stovetop chicken tikka masala recipe about half a year ago — it’s a made-from-scratch chicken tikka masala that’s surprisingly easy and tastes just as good as the restaurant version. Since then, I’ve been asked to adapt the recipe to make an Instant Pot version. Via pressure cooking, it only takes 10 minutes to cook the sauce, which is about half as long as the stovetop method. I’ve also made some minor adjustments such as tweaking the spice mix and using less heavy cream. 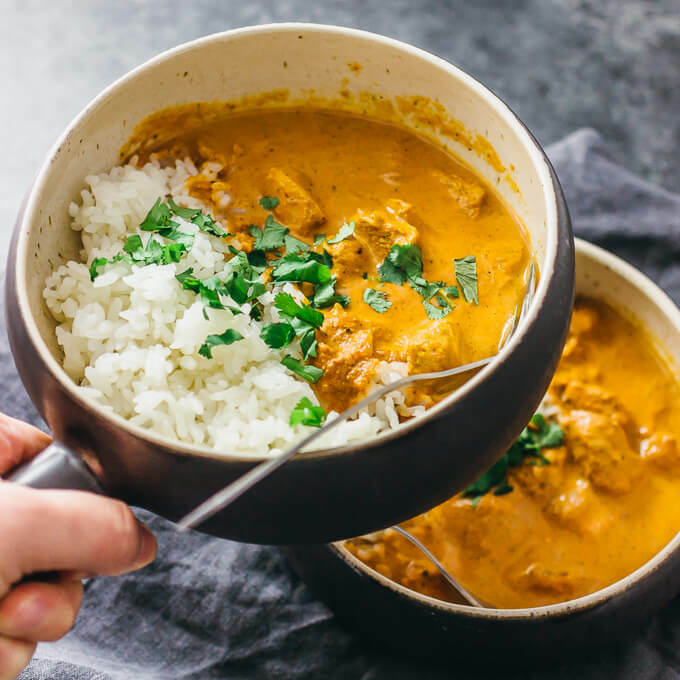 All in all, this Instant Pot chicken tikka masala tastes just as amazing as the stovetop version, so you can pick whichever cooking method you prefer. 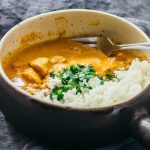 Recently, I added a slow cooker chicken tikka masala for those of you with crockpots and other slow cookers. If you’ve ever made my stovetop chicken tikka masala, you’ll know that it comes with a generous amount of sauce. This Instant Pot version is the same. You won’t ever find me skimping on tikka masala sauce, otherwise, what’s the point of basmati rice and naan if there isn’t extra sauce to soak up? The flavors here are top notch — even the typically wary-of-Indian-food Mr. Savory Tooth loves it — and there’s also a wonderful hint of lemon flavor as an added bonus. 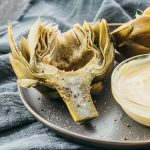 For a low carb and keto friendly version, simply make the recipe as follows and substitute white rice with riced cauliflower or low carb naan. 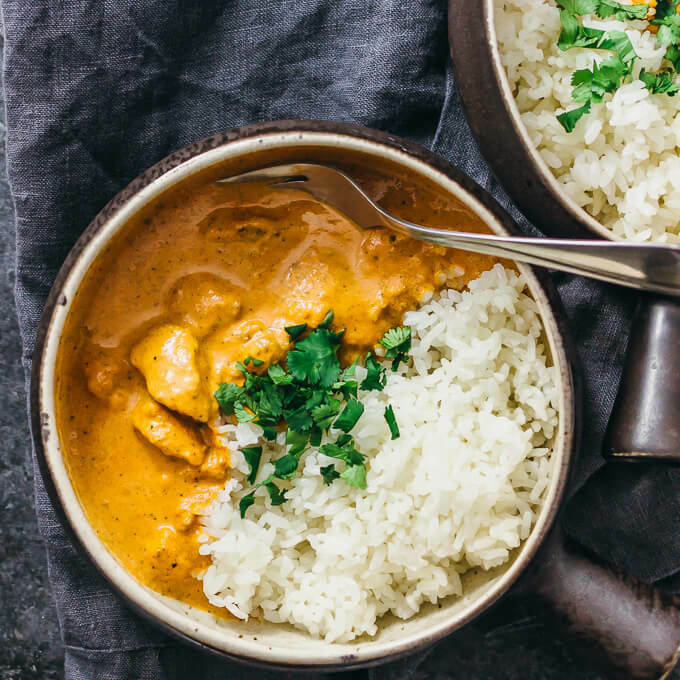 Most popular chicken tikka masala recipe, adapted for a pressure cooker like the Instant Pot. Marinating the chicken: Combine all marinade ingredients (minus the chicken) in a bowl and mix well. Add chicken chunks and coat with the marinade. Let sit in the refrigerator for at least 1 hour. Pressure cooker saute mode: Select the saute mode on the pressure cooker for medium heat. When it has reached temperature, add chicken chunks (along with any marinade sticking to them) to the pressure cooker. Saute until the chicken is cooked on all sides, about 5 minutes, stirring occasionally. Turn off the saute mode. Pressure cooker high pressure mode: Add all of the sauce ingredients except the cream to the pressure cooker, over the chicken, and stir. Secure and seal the lid. Select the manual mode to cook for 10 minutes at high pressure. Use the quick steam release handle to release pressure. Pressure cooker saute mode: Select the saute mode on the pressure cooker for low heat. When it has reached temperature, add cream to the pot, stirring with the other ingredients. Simmer until the sauce is thickened to your liking, a few minutes. Serving: Serve with basmati rice or naan. Garnish with cilantro. This recipe yields 12.5 g net carbs per serving. Nutrition information does not include rice or naan. Hello! This recipe is absolutely fabulous. My family, even my toddler, loves it! Unfortunately my fingers slipped when I tried to five star it and it gave it to three. I don’t know how to change it?! Do you know how I can switch it to a five star? Thanks so much. Hi Jade! I’m so glad that your family loved the recipe 🙂 I’m unable to modify users’ star ratings, unfortunately, but don’t worry about it and thanks for letting me know! I’ve never doubled a recipe for my pressure cooker, do you just double the cook time as well? Hi Whitney! I haven’t tried doubling this recipe before. In general, when you double a recipe for the pressure cooker, you should not double the time. If anything, I would suggest using less time (like 8 minutes instead of 10), because if you double the recipe then the cooker has more contents and will take longer to come to pressure, and the food is already cooking during that time. Let me know how it goes if you try it out! This recipe was spot on and fabulous! 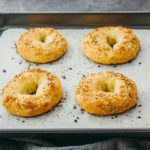 The flavor was equal to or better than the multiple step non-instant pot recipe that I’ve used. The only change I made was to pressure cook the chicken for 6 minutes instead of 10 and it came out tender and perfectly done. This is a keeper recipe!! I will definitely make this again! Thank you!! Any chance you could convert this to a slow cooker recipe for me please? ??? Huge Indian food fan (well, chicken tikka masala + naan fan) and my wife ordered me an Instant Pot for Father’s Day. 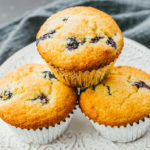 This was the first recipe I tried with my new machine! Turned out wonderfully! I typically eat chicken tikka masala without a fork.. because I make the naan do its job 🙂 So I appreciated the sheer amount of sauce this recipe made. Taste was the best at-home taste I’ve made. And color / consistency was pretty good. I did add some corn starch at the end to help thicken things up a bit. Thanks for the thorough directions. Oh no I am so sorry to hear that!! There seems to be a lot of variation in garam masala blends. Can you try using heavy cream instead of half and half next time? I am wondering if that was the issue. I had the same issue. Mine is a brownish red and not turmeric yellow. I used Garam Masala which I purchased from the Indian grocery here. Color wise, my spice is the same as the one linked in he recipe. But I’m not sure of the spice ratios in mine. I also used half and half. I think I will use coconut cream/milk next time. Did you attempt this again with heavy cream and see a difference? Is this mild or spicy? I think it’s only a little spicy, but that’s just me. You can omit the cayenne completely if you’re worried about the spiciness level. Sautéed the chicken with no oil? I really wanna try this. Had been years since I had my last chicken tikka. Will be using Noxxa pressure cooker. Okay, I’m super excited to make this. Just bought the rest of the ingredients yesterday. I’m curious: can the chicken be marinated overnight? I have something already for dinner tonight, but have the chicken in the refrigerator and don’t want to freeze it, so was going to go ahead and put it in the marinade, but thought overnight might be too much?? Hey there! 🙂 I think overnight will be fine. Let me know how it goes!! Can I use half and half instead of heavy whipping cream? I haven’t tried using half and half so I’m not sure how it would turn out. If you give it a try, let me know! I have used half and half several times and it’s still absolutely delicious! My kids (8 and 10) beg me to make this meal – it’s an all time fave! I have 7 people to feed, does this double okay? I have a the IP duo (6 quart). Doubling the recipe would work for 7 people as long as you also have plenty of rice and/or naan to go with the sauce. 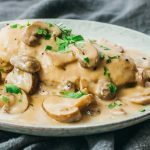 Can I switch out the heavy whipping cream for coconut cream? Yes, I think that would work well. Let me know if you try it! Loved the consistency of this. Mine came out with a very strong clove taste. Wondering if different garam masalas have different ratios? I purchased mine from whole foods. Will defiantly try again and adjust the spice ratios. This was a very easy recipe to make; I substituted Trader Joe’s cocoanut milk for the heavy cream. Delicious! Made this tonight for dinner and the whole family loved it! Thanks for a great, easy recipe. It totally satisfied my Chicken Tikka Masala craving. Tikka Masala is one of my favs and I love how you made it using the Insta pot. I must try! SO easy, so delicious. 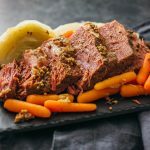 Seriously, how did I live before the instant pot? Magical.